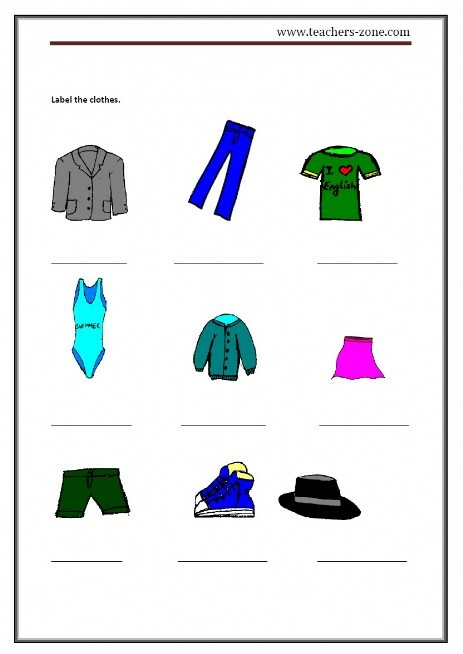 Pre-teach vocabulary with clothes flashcards. 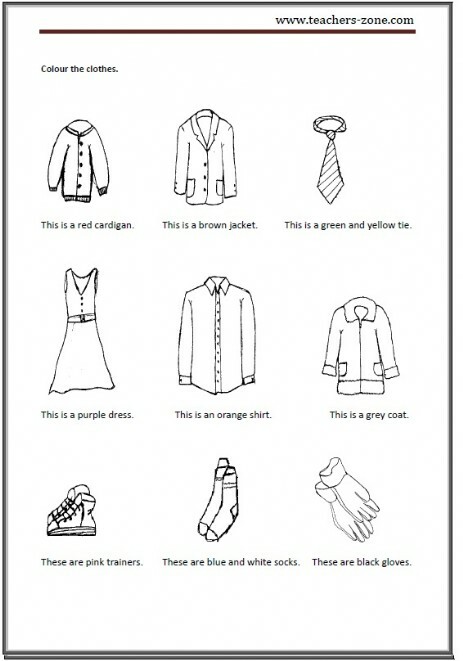 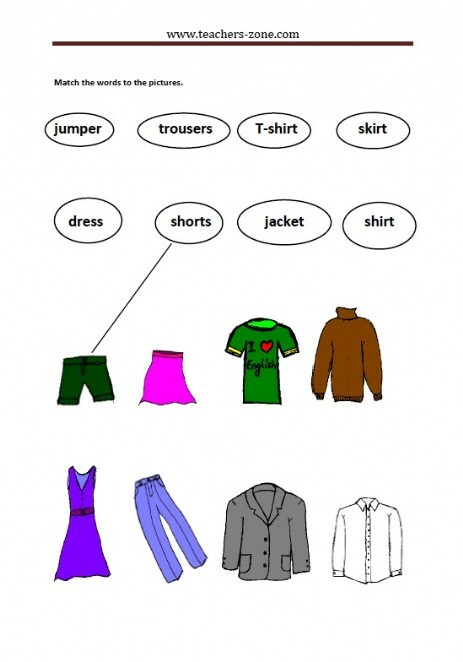 Match the clothes to their labels. 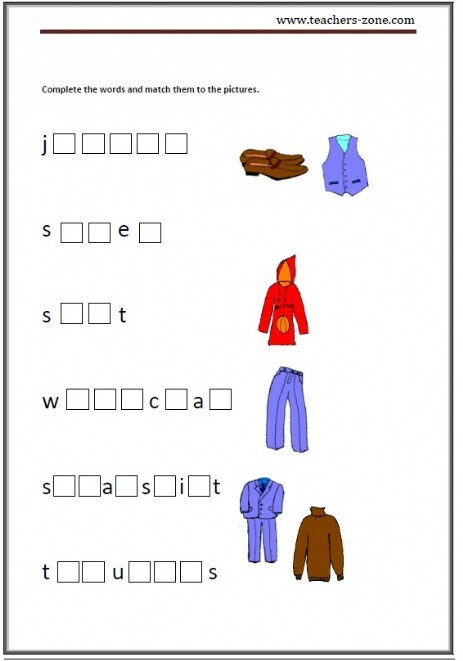 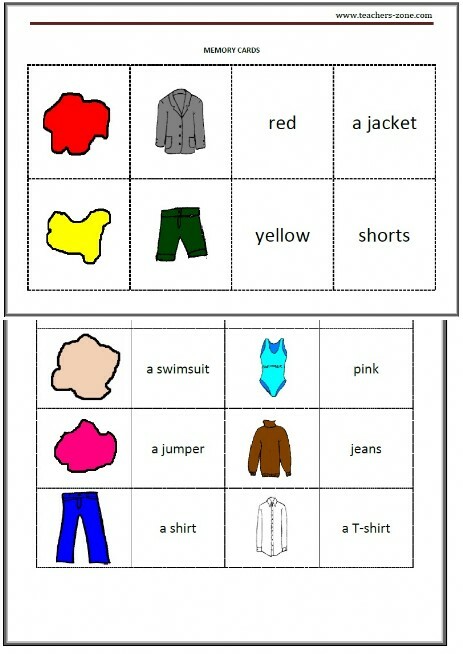 Spelling - complete the words and match them to the pictures. 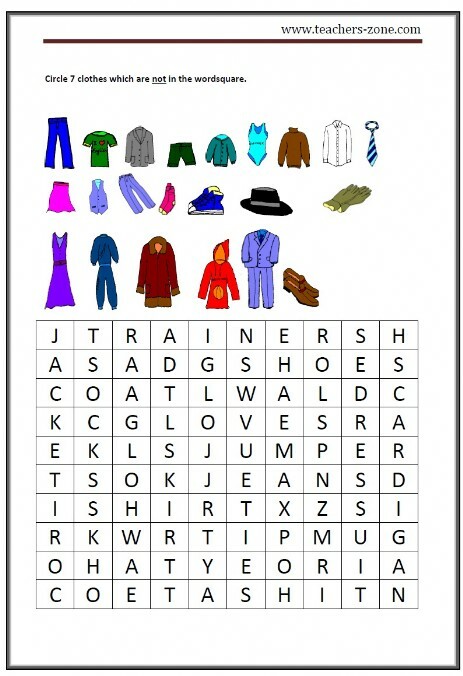 Wordsquare - circle seven clothes which are not in the wordsquare. 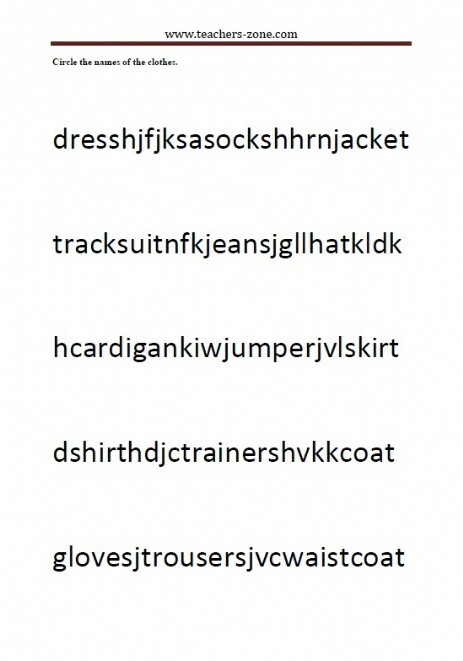 Circle the names of the clothes. 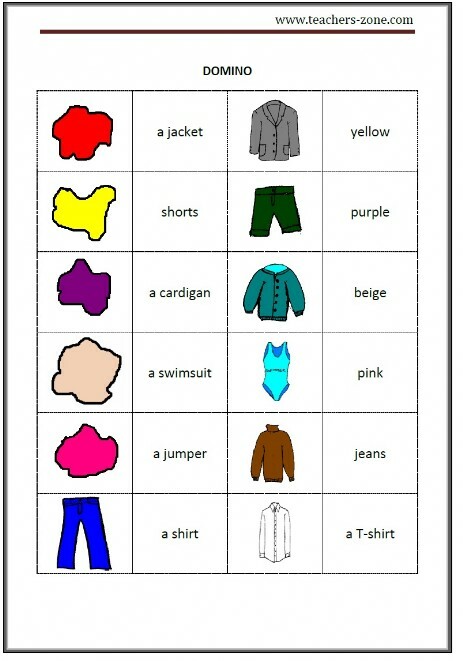 Pre teach vocabulary with colours flashcards and clothes flashcards. 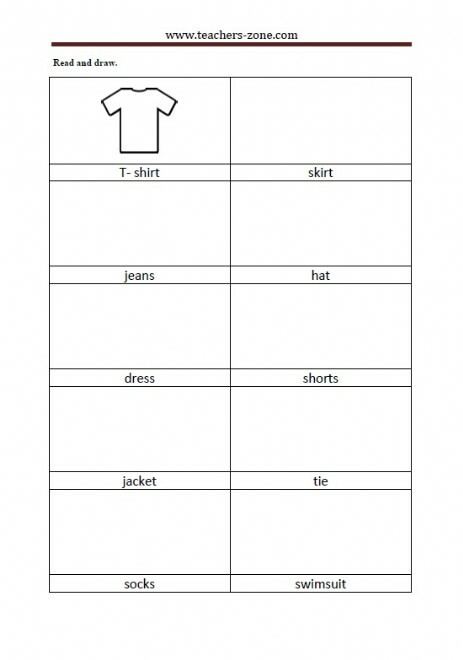 Writing - 'My favourite clothes'.